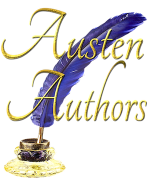 Congratulations to the winners from the Capture Mr. Darcy Launch Party giveaway. The launch party was lots of fun. When my block of time was over I was sad; it was so neat to correspond real-time with readers. Tgruy — Your choice of my books. Please get in touch with me by email or facebook and we can work out delivery. Thank you to everyone who participated! ← Paperback Version of The Secrets of Darcy and Elizabeth is Now Available!